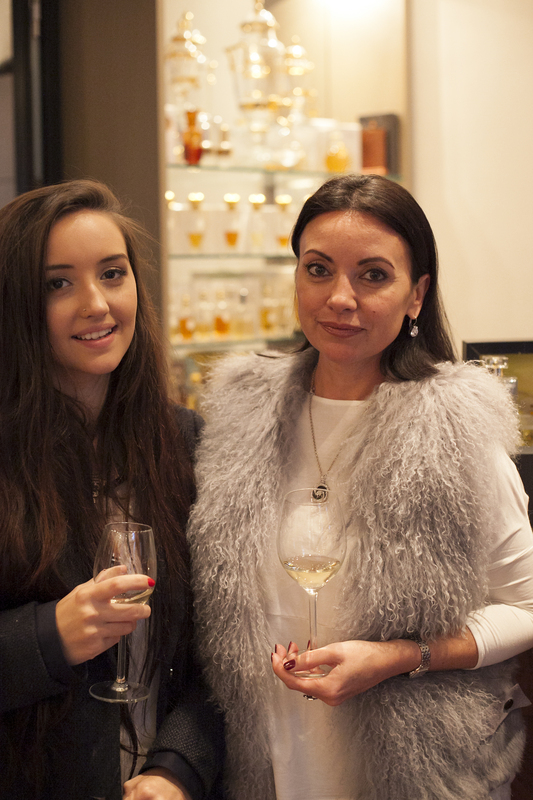 On the 21st October our perfumer, Liz Moores travelled to the beautiful Annindriya Perfume Lounge in Amsterdam. This was a very proud moment for us as they are our exclusive stockists for our brand in Amsterdam and having the opportunity to visit such a stunning city undoubtedly marked the start of something extremely special. 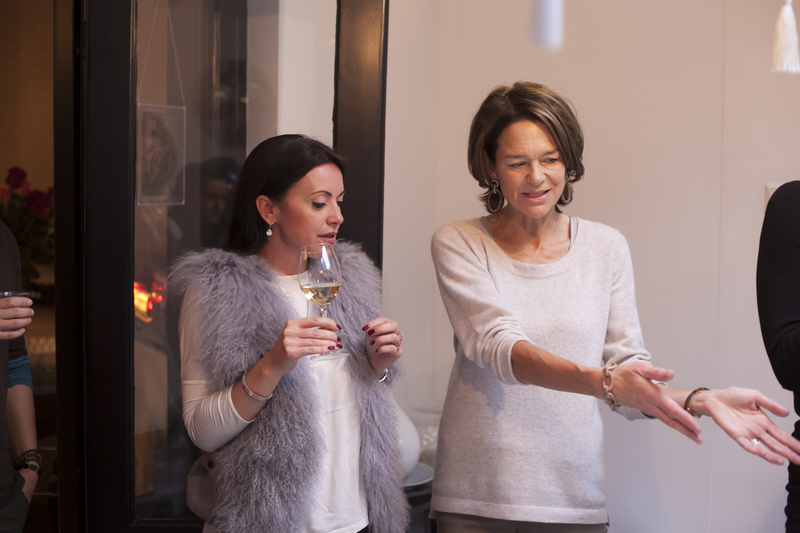 The partnership between Tanja Deurloo and Phine van Eijk is the perfect collaboration for Annindriya; both are charming and kind with a vast knowledge of the perfume industry and perfumes themselves. On arrival Liz was treated to a delicious lunch of steak tartare, and after months of emails and phone-calls, she was able to finally meet Phine and Tanja in person. The front window of Annindriya perfectly echoes Tanja and Phine’s vision of effortlessly classic elegance with a modern twist, and had been stunningly bedecked in butterflies heralding Papillon’s launch. This majestic display was completed, of course by the trio of perfumes. The shop itself is an oasis of olfactory pleasure; a glamorous combination of a velvet circular seating area, vases of fresh roses and a tranquil garden area at the back of the shop. If you are ever in Amsterdam we really do recommend that you visit. 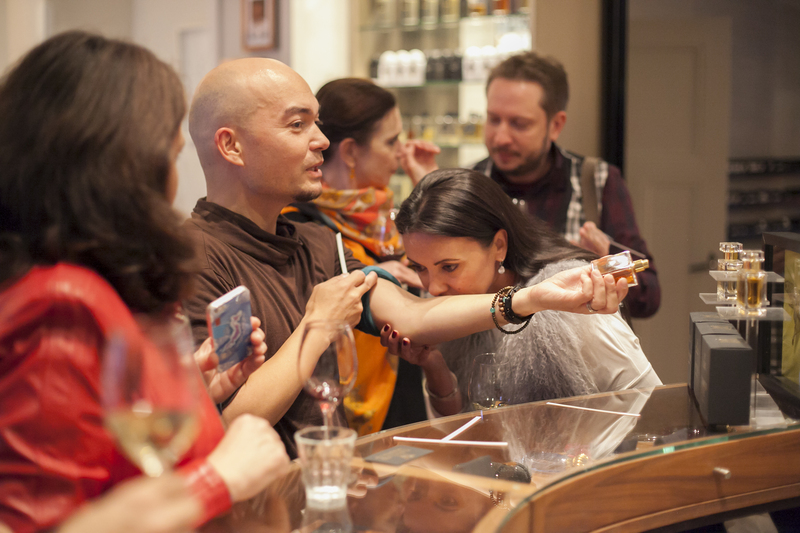 Annindriya carries some incredible brands; from the classics to the contemporaries it is clear that the shop is founded on an inherent understanding and appreciation of fragrance. It is a shop where you could wile away hours taking in the serene atmosphere. 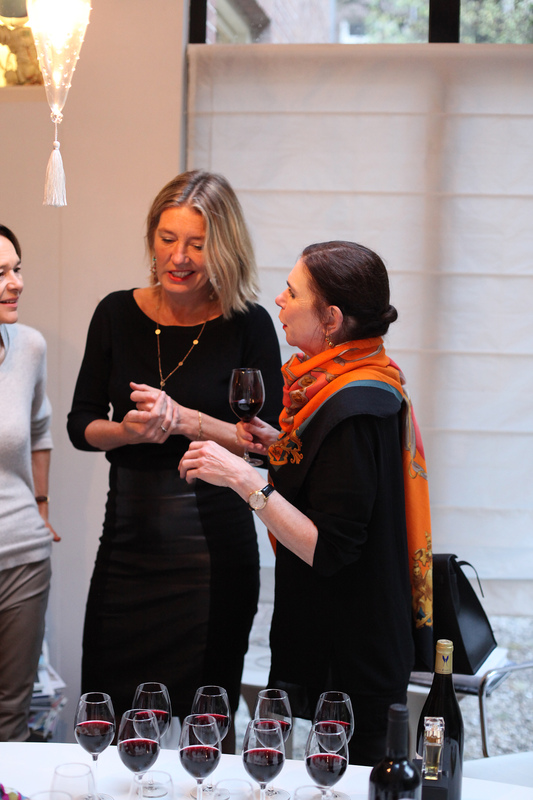 After being interviewed by the charming Karen van Ede from Dutch Vogue and the delightful Laura Dufour from the Dutch FT, Liz had the opportunity to meet and greet guests. 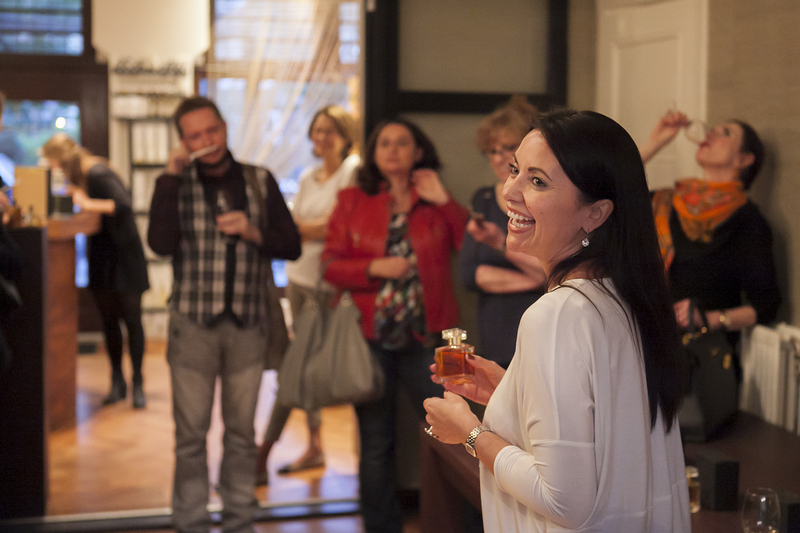 We know that for our perfumer, it is the greatest reward to meet those who wear the Papillon fragrances, and Liz was truly in her element, interacting with the immensely friendly crowd and signing bottles for her new overseas friends. 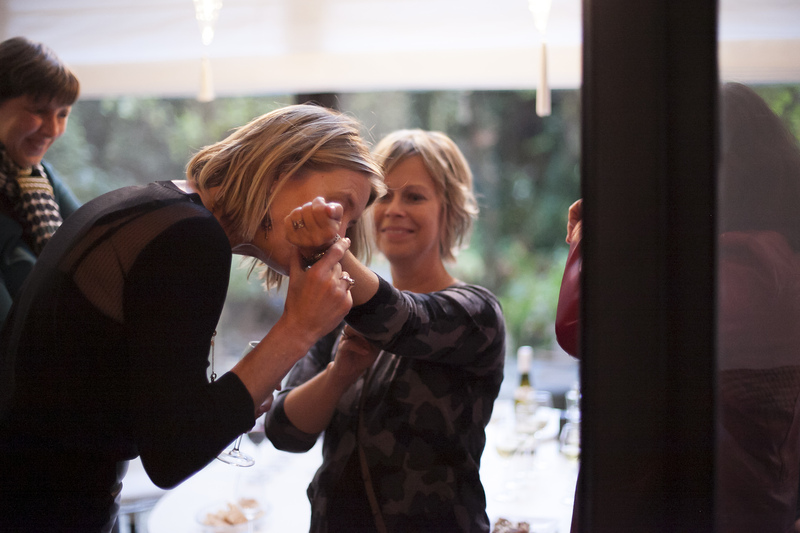 To add a particularly decadent and detailed aspect to the evening, Tanja and Phine had very cleverly paired each of the perfumes with fine wines. 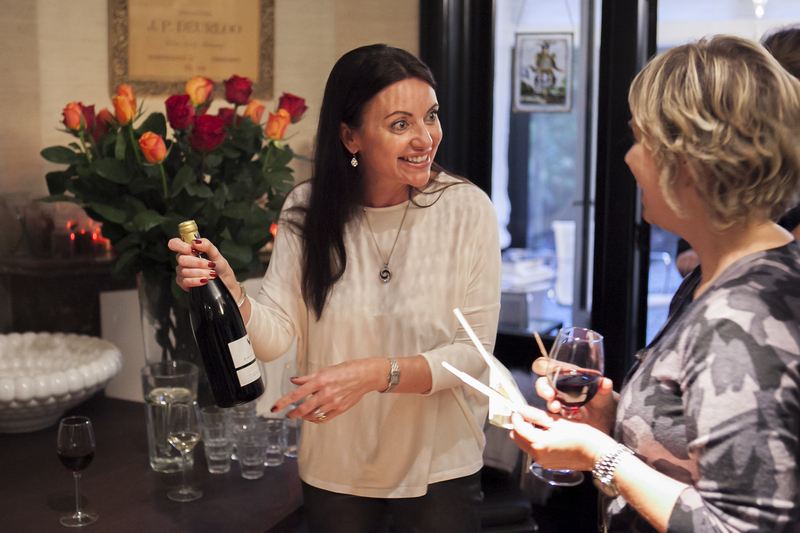 Angelique was complimented with a Vin de Savoie Altesse Domaine Gonnet, a delicate white floral with clean mineral notes. Anubis was paired with a Mas des Bressades Les Vignes de Mon Pere, a dark, rich red with huge complexity and a tobacco finish. Tobacco Rose was paired with Domaine Gilles Robin Papillon (a most fitting name!) 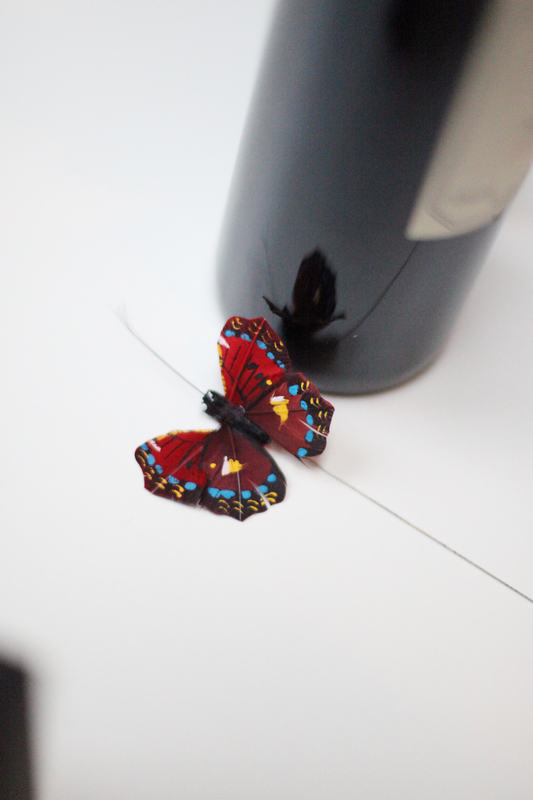 a delicious red with subtle notes of roses and pepper. 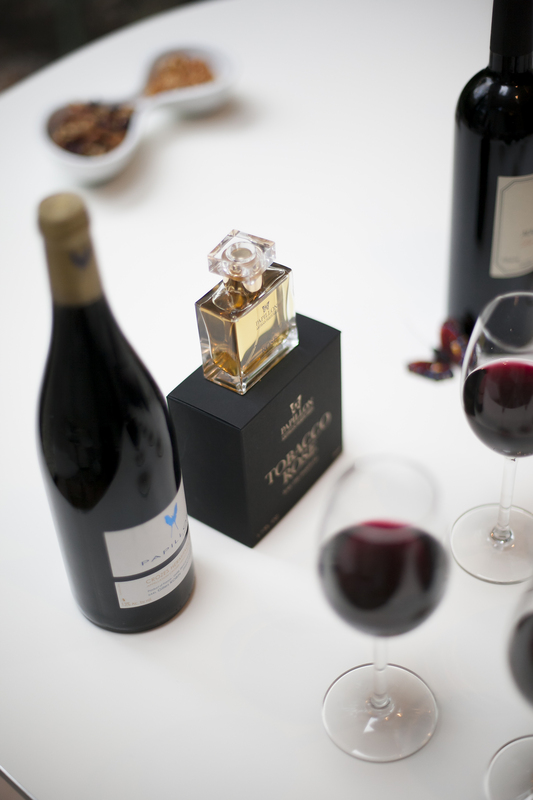 Each wine perfectly mirrored the subtle elements and notes in the perfumes, and their addition truly heightened the experience. 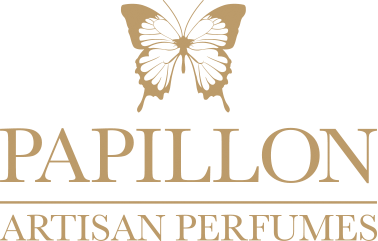 The evening closed with a presentation from Liz, talking personally about Papillon and the three perfumes; she spoke of her inspiration, her creative process and the materials that she loves to work with. 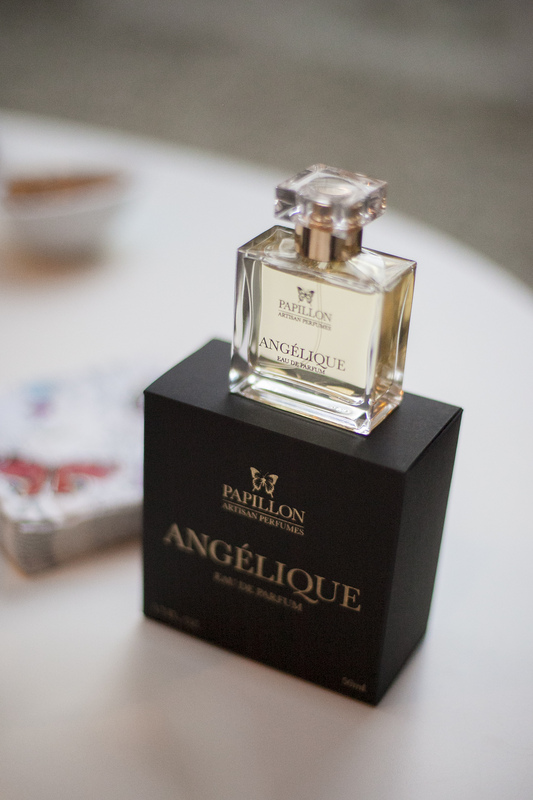 She also allowed the guests a preview of a new perfume that will be launching next year. 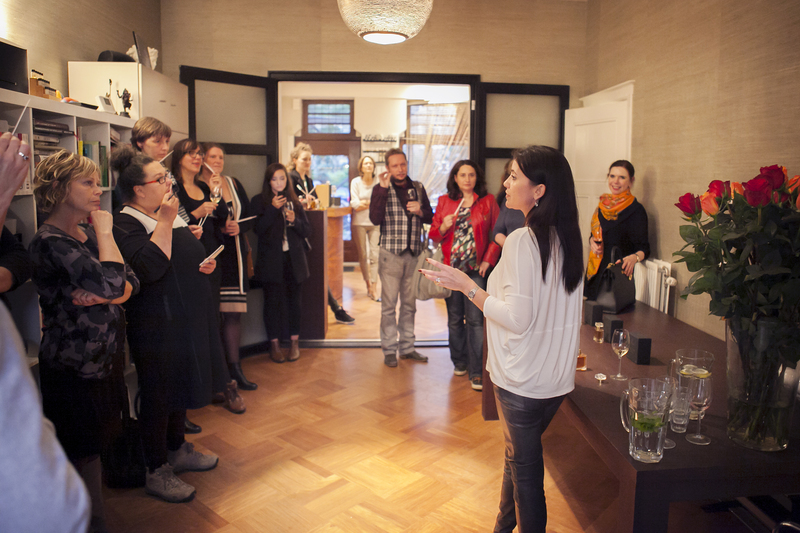 We would like to extend a huge thank you to Tanja and Phine, the most hospitable and warm hosts one could hope for, and of course to the wonderful guests who attended.